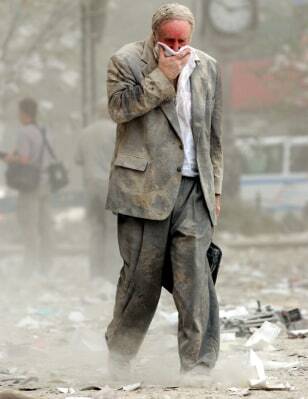 The woman photographed fleeing the World Trade Centre in one of the most iconic and enduring images of the immediate aftermath of the 9/11 terror attacks has died from cancer. 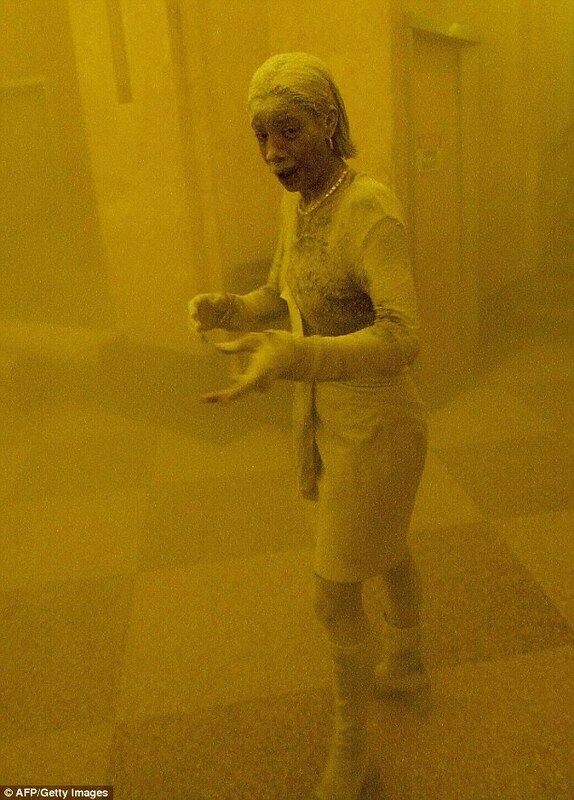 Marcy Borders, 42, known as the ‘Dust Lady’, had attributed her stomach cancer - diagnosed in April 2014 - to the after-effects of the attack in 2001 which claimed 2,753 lives. The mother-of-two, who is believed to have died on Monday night according to her family's social media posts, blamed her illness on inhaling dust particles: “I’m saying to myself ‘Did this thing ignite cancer cells in me? “I definitely believe it because I haven’t had any illnesses. I don’t have high blood pressure...high cholesterol, diabetes,” she told US newspaper the New Jersey journal in November. Ms Borders was only in her first month at the World Trade Centre One, where she worked on the 81 floor, when the bombers flew into the building. Despite orders from her supervisor to stay at her desk, the then-28-year-old's disobedience saved her life as she made it out of the building. “Hundreds of people were trying to get out. My stairwell was badly damaged and we had to move stairwells, I was convinced we were going to die. I’m so glad I had the strength to get to the bottom,” she told the MailOnline in 2011. "Despite orders from her supervisor to stay at her desk, the then-28-year-old's disobedience saved her life as she made it out of the building." Supervisors aren't always right, now are they! No doubt he was a dead idiot within an hour as her office was on the 81st floor of the North Tower. Always choose life over death when that decision comes your way. it seems he's still with us.